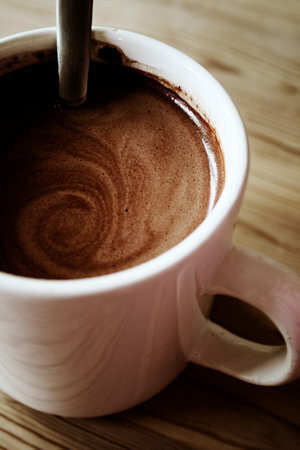 Home / Uncategorized / Yummyyyy Hot Chocolate !! It was raining all day today. 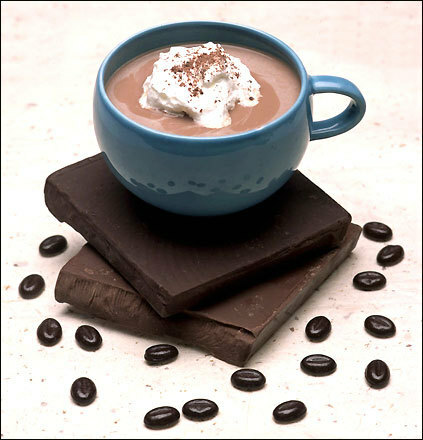 I went to a coffee shop with my friend and we ordered a hot chocolate… It was absolutely AMAZING! I couldn’t help myself to try a recipe for it ! Its probably not the best you would get out there but it very easy to make and it still tastes lovely! Melt the chocolate bar in a microwave or double boiler. When the chocolate is nearly melted heat up some milk. When the milk is hot and the chocolate melted, pour the melted chocolate into the milk and stir until fully blended together. If you would like you can add some extra flavouring. E.g Vanilla essence or you could buy an orange or mint chocolate bar, works just as well! Add whatever you want to the top, such as cream or chocolate powder or marshmallows or a flake or all of them! Next Mayonnaise for Smooth, Soft Hair ! Ohhh what i’d do for some rain right now!! >_< nevertheless, this is the beeest! Fresh chocolate and milk, nom nom. <—- one big hot chocolate LOVER. They're just so darn good!